See what Patients are Saying About Dr. Forester! 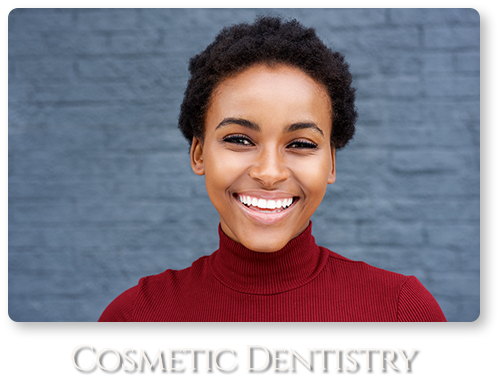 For over thirty-five years, Dr. Forester has provided state-of-the-art cosmetic and restorative dental care in the Atlanta area, and has practiced in Johns Creek, GA since 1997. Looking for a Johns Creek Dentist? At Lifetime Smiles, our mission is to make you smile. But, giving you a smile that will last a lifetime is just the beginning. Our main focus is treating small problems before they turn into much bigger problems. From the six-year-old who just lost their front two teeth to the 75-year-old who has been waiting a lifetime to smile, we are here to make sure your treatment and experience with us leaves you with a smile. Our process is simple. We meet patients where they're at, diagnose any potential problems, and provide the most minimally-invasive treatment options available with state-of-the-art equipment and cutting edge techniques. If you’re looking for a new dentist in Johns Creek, the friendly staff at Lifetime Smiles is waiting with a warm greeting for you and your family the minute you walk through our doors! Call us today at 678-368-4333 to schedule an appointment. We look forward to meeting you soon! Let’s face the facts; going to the dentist probably isn’t your favorite thing to do, and we understand that. You may not hate it per se, but it’s certainly not something you’re so excited about that you count down the days until your next appointment. You’re getting your teeth cleaned or having dental work done; not going on vacation! But at Lifetime Smiles in Johns Creek, we’re changing the way people feel about going to the dentist. You see, as a practicing dentist for 35+ years, I have an intimate understanding of what patients need from their dentist, which allows me to develop long-lasting patient/doctor relationships that last a lifetime. Dentistry isn’t about “oh I have a cavity, I need to get it looked at”…far from it. At Lifetime Smiles, we focus on treating small problems before they turn into big problems. That’s our treatment philosophy in a nutshell. Unlike some providers who just want to fix major problems and cost you a lot of money, I’m much happier seeing my patients 2-3 times a year, knowing their teeth and gums are healthy. What if I do have a serious issue and need attention? I’m here for you. If you have a dental issue that needs attention, or you’ve got a potentially complex procedure on the horizon (such as dental implants) I’d love to see you, and give you a 2nd opinion. Bottom line, I meet my patients where they are, diagnose the problem, and provide the most minimally-invasive treatment options available with state-of-the-art equipment and cutting edge techniques. If you’re looking for a new dentist in Johns Creek, I hope I have the opportunity to meet you very soon. We’re waiting with a warm greeting for you the minute you walk through our doors for your first appointment!